A loan of $1,250 helped to purchase more stock for her general store, such as shampoo, toothpaste, soap, salt, and vinegar. Lucena, age 44, operates a general store business to earn an income. 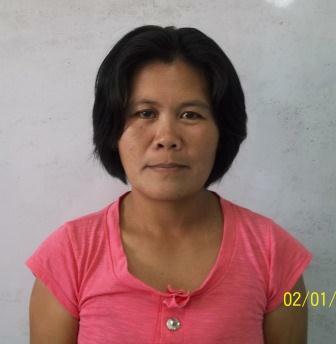 She lives with her husband and child in San Juan, Panaon, Misamis Occidental. Lucena has been a member of PMPC for almost nine years. She has requested a loan in order to purchase more stock for her general store, such as shampoo, toothpaste, soap, salt, and vinegar. In the future, Lucena hopes to expand her business.